Brian is a partner in our Litigation, Insolvency & Restructuring Group and has significant experience of complex international insolvencies, restructurings and security enforcement. He has specific experience of contentious and non-contentious corporate liquidations, bankruptcies, receiverships, restructurings, reorganisations and related litigation matters. Brian also has experience of complex multi-jurisdiction fraud recovery, asset tracing and shareholder disputes including asset freezing injunctions, disclosure and search orders. 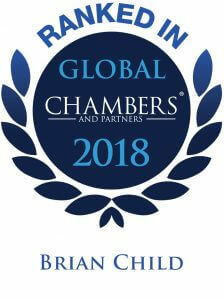 Brian is Chambers and Partners ranked. Prior to joining Campbells, Brian was of counsel to a Virgin Islands law firm. Prior to moving to the Virgin Islands in 2010, Brian was a partner with a large, leading commercial law firm in Canada where, latterly, he was lead Canadian counsel for Bank of China in relation to a case which was (at the time) China’s largest publicly acknowledged fraud. 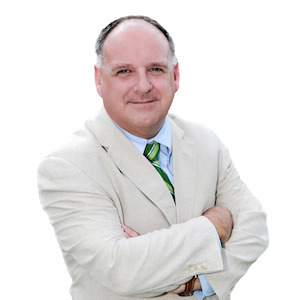 Brian has been appointed by the Supreme Court of British Columbia as an independent supervising solicitor in relation to the service and execution of Anton Piller Orders and has sat as an examiner on the oral boards for candidates examined for licences as trustees in bankruptcy (Industry Canada). Brian was admitted as a Barrister and Solicitor of the Supreme Court of British Columbia in 1987 and was admitted as a Barrister of the Eastern Caribbean Supreme Court (Virgin Islands) in 2013. He holds a Legal Education Certificate (University of the West Indies, Trinidad) and is an accredited mediator (London School of Mediation). Brian Child is “good on his feet before the court” (Legal 500) and is recommended for complex cross-border insolvency matters, fraud investigations, restructurings, contentious funds litigation and security enforcement matters.